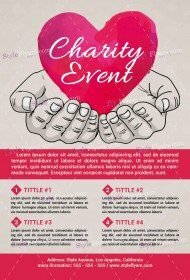 The charity events must have the powerful advertisement, which will attract many big investors to your event. 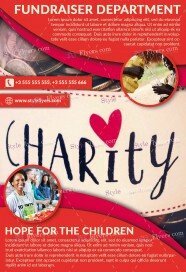 We offer you to save your money and get an effective advertisement for free. 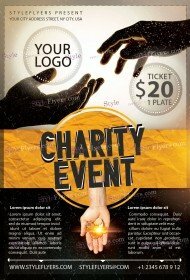 Look through our new free Fundraiser flyer PSD templates listing and download for free the most appropriate PSD sample. All Photoshop files here have a stunning design and fully layered structure, which will let you customize our invitations freely. You can use our best ideas and bring them to the perfection. Just pick the best printable fundraiser flyer templates and use it for your powerful advertising campaign. Don’t forget that the main part of internet advertisement is the social media promotion. For this part of promotion, you can get a Facebook cover, which will increase your result. Our fundraiser templates will capture investor’s attention on your main advantages and ideas. It’s very important to display your main goals and aims. 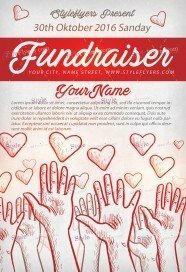 If investors will be interested with them, they will make a big donation to your organization. 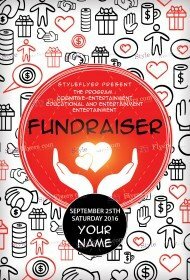 Get free Fundraise flyer template from our site and use this powerful advertisement materials achieving your goals. 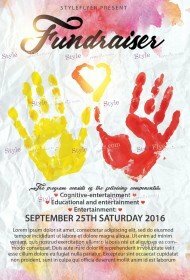 Our free flyers can become your key to your success, so don’t waste this opportunity to attract more investors to your charity evening.